I have suffering from allergic rhinitis for quite sometimes and although I remember acquiring it from my late father who has a big problems with his nose, i guess their are many reasons that contributes on my allergy. Our nose is one of the very important parts of our body and having a heavy colds and even coughs is just to much to bear. I don't know if it's the best timing but when the product arrived I was actually suffering from heavy breathing and stuffy nose because of my cough and colds and honestly, my through is really aching probably because it's sore. NasoClear is another quality product of Unilab, a brand I personally trust because of it's commitment and services. Containing sodium chloride a solution that helps dry, irritated nasal to help clear the passage. It's very handy and easy to use, you only need to put them on your nostril and pump it a little bit so the mixture will enter your nose. On my first try, my colds comes dripping and the once stuffy and clogged nose is now loosen so my next problem is what they called "running nose" (LOL). But it's a good thing though since i could easily blow it out now. As a mother, it's very important for us to have a handy medicine that we can use when sickness like this happen. Nasoclear is very affordable and handy so it's definitely something you can bring along wherever and whenever you needed it. 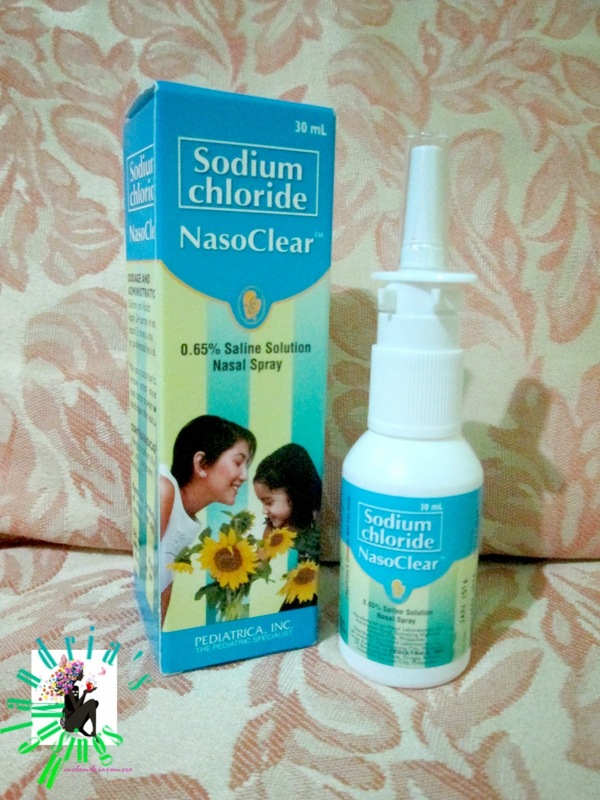 For now, i'm still nursing this heavy cough and yes although I have drinking over the counter medicines and taking natural remedy and even drinking a lot of water, I'm still putting my trust with NasoClear to help me relieve this feeling.